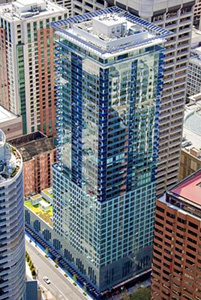 The Olive 8 Condominium is located in downtown Seattle’s retail & entertainment districts, affording residents convenient access to downtown’s myriad of shops & boutiques, restaurants, coffee houses, art & entertainment venues, and work. Starting from the 18th floor, Olive 8’s upscale residential homes are located above the Hyatt at Olive 8 Hotel. Olive 8 offers a variety of home layouts ranging from open one-bedrooms to expansive penthouse suites.